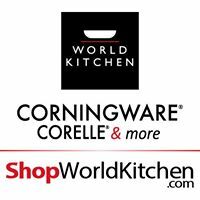 Our Corningware Corelle & more Outlet Stores offer our own well-known and trusted brands as well as a wide selection of accessories, flatware, glassware and other essential gadgets and products for your kitchen from other great brands. Stores are located in outlet and lifestyle centers across the United States and Canada. 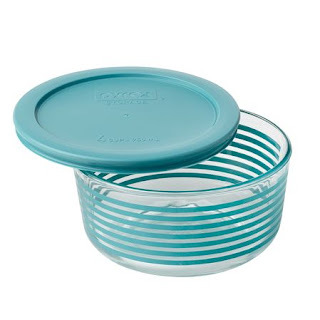 The Pyrex® bowl, encircled with a timeless line pattern, is topped with a secure-fitting turquoise plastic lid. When you're ready to serve the goodies, simply remove the lid; the decorative bowl makes a pleasing display. Flower power! Tickled Pink is inspired by the Spring Blossom pattern of 1972. These hot pink pop-art bowls are a bright twist on the olive green floral pattern that served as their inspiration. 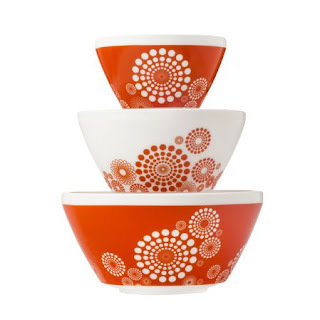 The bowls are safe to use in the microwave (something you didn't find in many kitchens back in '72! ), freezer and dishwasher. Shop World Kitchen for all your kitchen needs this holiday season! World Kitchen has just about everything to get your kitchen in working order for the holidays. Seriously, I dare you to just browse their site. They have an amazing selection and the prices are amazing. I'm having a new house built that will be completed in a few months and while browsing World Kitchen's site I found so many items that I simply must have for my new amazing kitchen. 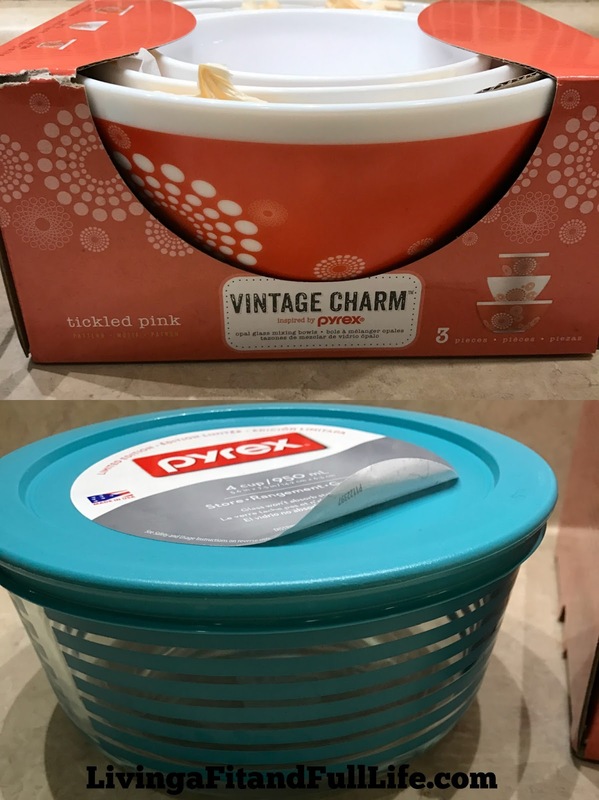 I received the Vintage Charm™ Tickled Pink 3-pc Mixing Bowl Set, inspired by Pyrex® and absolutely love it! This reminds me of a set my mom had when I was growing up. I've been baking up a storm this holiday season and these mixing bowls have been used an incredible amount of times. They are incredibly pretty and have certainly helped me with all my holiday baking. The Pyrex® Simply Store® 4 Cup Turquoise Lane Storage Dish w/ Lid is also beautiful and very practical. I love that it's glass and has a lid so I can store leftovers or in this case extra cookie dough for the next batch. I've been moving away from plastic storage containers and this beautiful Pyrex® Simply Store® 4 Cup Turquoise Lane Storage Dish w/ Lid is the perfect way to encourage me to do so. I'll definitely be purchasing a few more storage dishes like this! Both of these items would also make terrific holiday gifts for others if you're able to part with them! Click HERE to learn more about World Kitchen! Follow World Kitchen on social media!